So everyone is a horrible unlikeable person in this? I always read them as the Bluths, and then I think " .. I'd really read THAT revenge story. " I think the purpose of this comic is to make us not feel bad for the people that heroine of the main comic murders for no real reason. Which is bass-ackwards from how good stories do this sort of thing, but whatever. 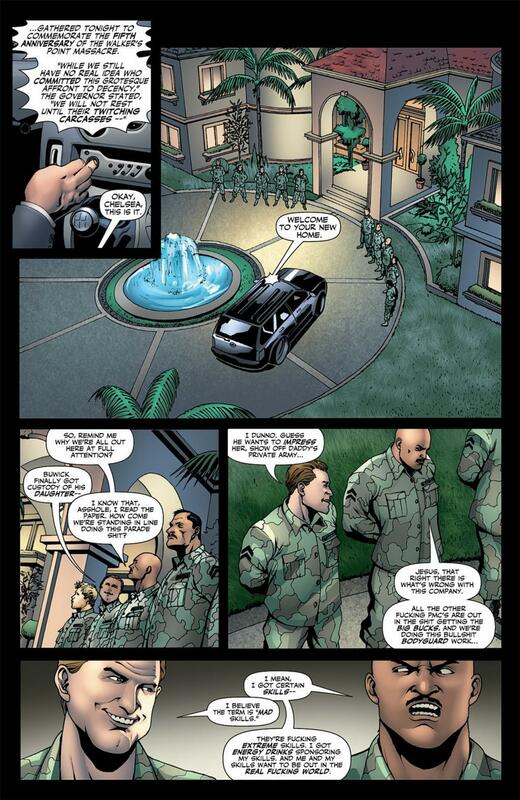 A teeny little part of me dies when I contemplate that the writer of Mighty Avengers also did this. 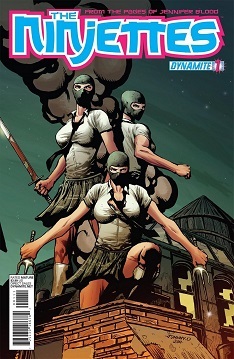 That cover led me to expect something along the lines of Dr. McNinja. Needless to say, I am disappointed. Yes, same here! Tacky masks, goofy name, I thought it had to be by Hastings! Then I squinted and peered and saw "Jennifer Blood", and was like, "Oh... well damn." So basically: "Men are horrible and should be killed indiscriminately." And she's wearing Name brand jeans. At least the puns are staying at the same level as the storytelling.